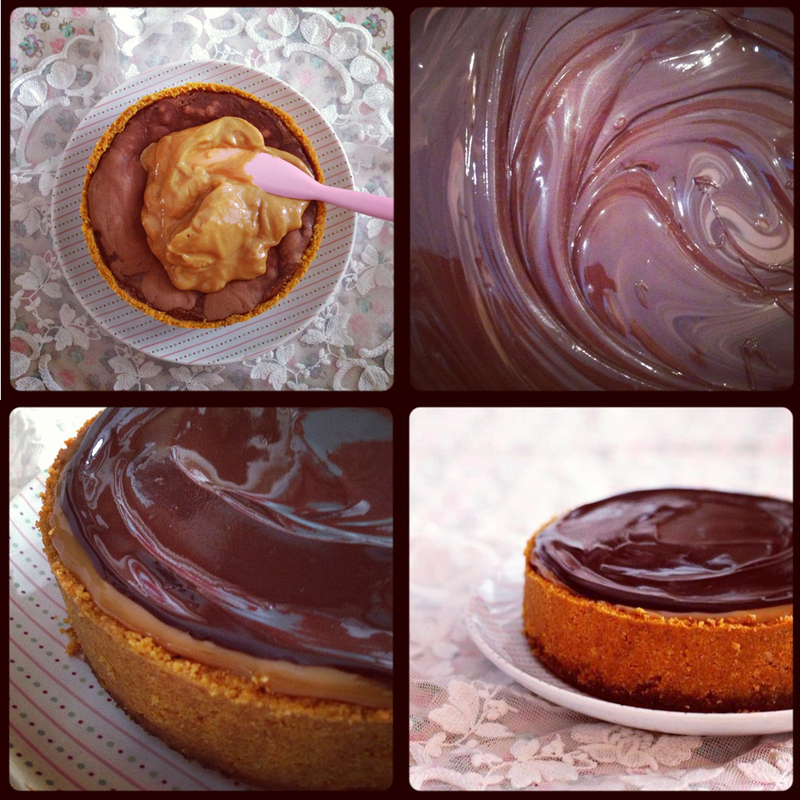 Here you’ll find the recipe in English, for more pictures and blogpost click HERE. The recipe makes two 5-6 inch (15cm) cheesecakes or one 8-10 inches (20-25cm). Cover the sides and bottom of a springform with parchment paper. Put the chili nuts into the bowl of a processor. Add the melted butter and continue to mix until you have a sandy mixture. Put the nuts into a springform and press into the base and sides. Place in the fridge to chill while you are making the filling. Melt the chocolate in the microwave or over boiling water. Let cool for a few minutes. Add cream cheese, sour cream and the cooled chocolate and continue whisking. Poor the mixture on top of the chili nut dough. Bake at 350 F (175C) at the bottom of the oven for about 25-35 min. It is supposed to be like jello when finished. It will set in the fridge. Place the cheesecake into a baking dish and fill baking dish with hot water about 1 inch up on the side of the springform. When finished, let it cool for a while before you put it in the fridge for at least 6 hours and preferably over the night. Melt chocolate on low heat with the cream. Stir. Add the butter when chocolate is fully melted and take of the heat. Let it cool a bit before using it. Take out your cheesecake from the fridge. Carefully remove the cheesecake from the pan. Pour or spread dulche de leche, chocolate ganache and whipped cream on the cheesecake – One at the time, and smooth with a spatula. 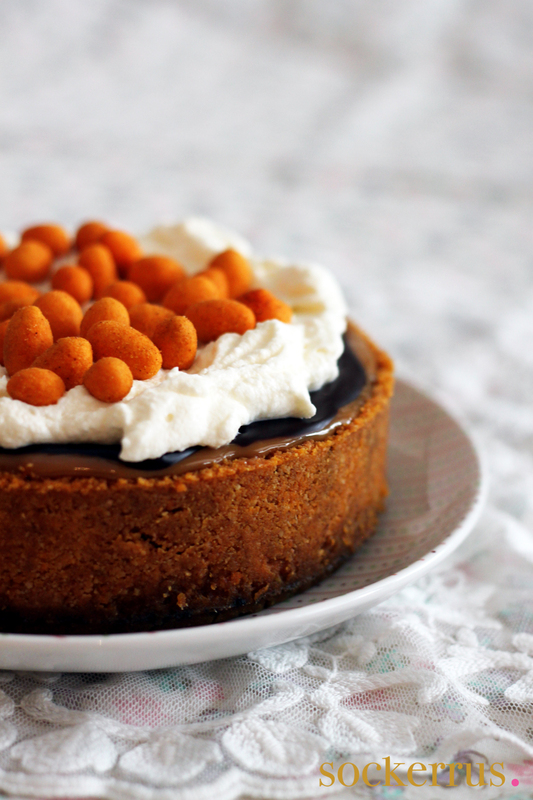 Throw a handful of chili nuts on top of the cheesecake as decoration.